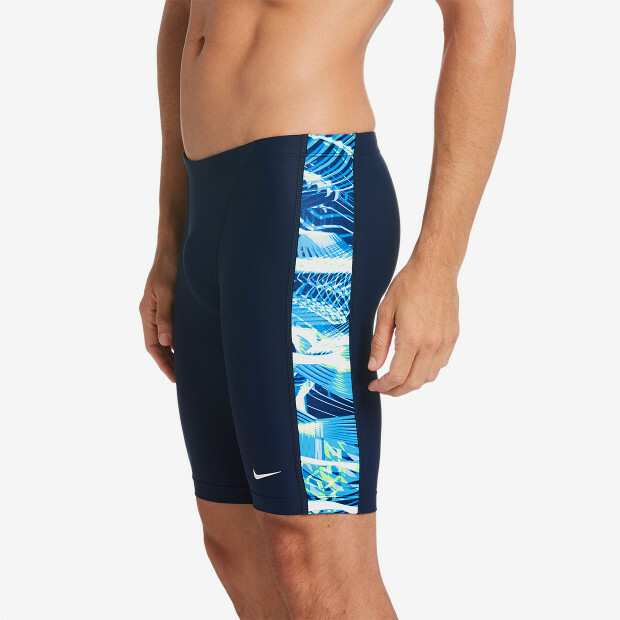 Nike Swim Men's Whirl Jammer has a streamlined design with a long leg and a stripe with a whirl of color down each side. Built to reduce drag in training and competition, this jammer has a front gusset, flat seams and a full lining for comfort. An interior drawcord lets you get the perfect fit.